This oil has place in my bathroom. It’s special place because I will remember to use everytime I go to toilet. My husband also had one when he’s travelling. 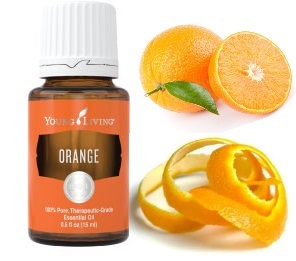 YL Orange essential oil is made from commonly called sweet orange. ALL citrus oils, in this case, Orange, is made from the rind, not the juice. It’s cold pressed to maintain its therapeutic nature. Because it’s not distilled, traces of larger molecules, such as proteins, may be found inside the eo. This larger molecules may cause what we often call “allergic reaction”, such as rashes or itchiness. Allergic reaction may happen if the body lacks ability to process the molecules. In close to 1 year of constant using this eo, I never have any reactions, except positive ones. D-limonene is the major constituent in citrus oils and is helpful for liver to remove toxins, improve the flow of bile and metabolize of fats. I like to use it over my liver. It is soothing to dry, irritated, or acne prone skin (avoid uv at least 12 hrs from applying). The smell is uplifting, fresh, and at the same time, calming. 90-95% of people across different cultures, countries love ORANGE smell. Children love orange smell. My nephew who did not like the smell of EOs initially (my sister started with DiGize, Thieves, RC …) liked Orange immediately after I let him smell it. Combine Orange and Cedarwood for good night sleep. Few of my friends tried and tested that and it’s true! I just learn a wonderful tip that Orange and Lemon can be used at each big toe to relax. Time to start using Orange, my friends….